Although many great games hit the market in 2012, arguably one stood head and shoulders above the rest. This was a first-person shooter video game by French video game company Ubisoft, that quite a few people referred to back then as “Skyrim with guns”. And while Far Cry 3 did not quite reach the heights of Bethesda’s superb The Elder Scrolls V: Skyrim, it still is an incredible open-world shooter with a fantastic cast of characters, story and gameplay, and arguably the best entry in the long-running Far Cry series. Far Cry 3 was also controversial back in the day, being accused amongst other things of having racist undertones. 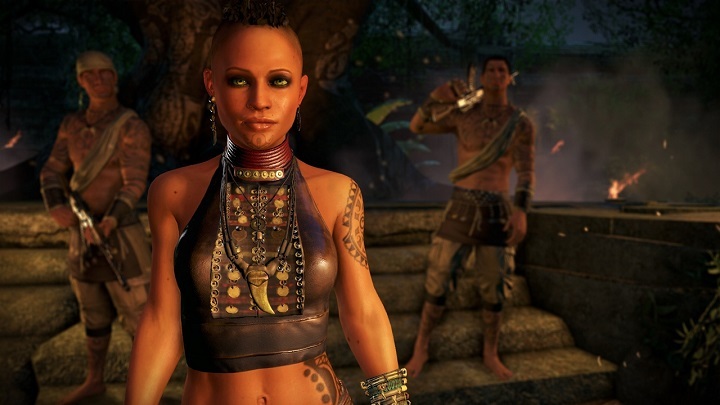 This is because the game’s story featured the dreaded “white saviour complex”, with protagonist Jason Brody (a rich kid from California) single-handedly saving the natives of Rook Island (the game’s setting) from a ruthless band of pirates led by the insane Vaas Montenegro, one of the best video game villains of all time. Of course, none of this should detract from the fact that this is one of the best first-person shooter games ever made, which thankfully is now backwards compatible on the Xbox One, as announced by Microsoft’s venerable Major Nelson on his Twitter account. This means that Xbox One players can now enjoy this game on their console, and those who already own the game will see it appear automatically in their game library, while the game can also be purchased online from sites like marketplace.xbox.com. So this will certainly be good news for fans of Ubisoft’s Far Cry franchise, who will get a chance to replay one of the best action games that have come out in the last couple of years. And it’s also a great thing that yet more games are joining the Xbox One’s backwards compatibility list, even if backwards compatible games have not always been a smooth ride. But it’s still great to be able to play some of the best games of the past generation like Assassin’s Creed II on the Xbox One, and it would be a great thing if Microsoft kept adding games to the list (which now boasts more than 300 games) throughout 2017. Next: Is Maradona right to sue Konami over his appearance in PES 2017?